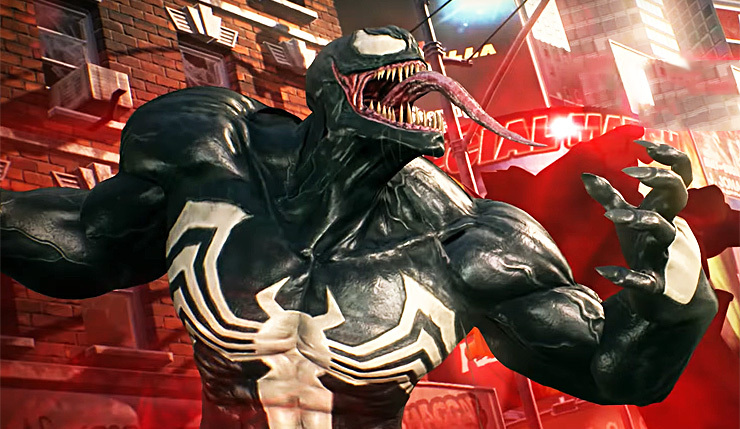 Marvel vs. Capcom: Infinite has dropped a release date and trailer for its next infusion of comic-book-inspired fighters. This batch includes Venom, as well as Marvel Cinematic Universe stalwarts Black Widow and Winter Soldier. This is the first time Black Widow and Winter Soldier have been playable in a Marvel vs. Capcom game. Check out the trailer, below. Black Widow’s gauntlets can fire off different projectiles that range from a sticky bomb to one that emits a nerve gas, which crumples the opponent. With the unique ability to perform evasive maneuvers, catching Black Widow will not be easy. Want to try out Marvel vs. Capcom: Infinite? Capcom is running a free multiplayer demo on PC, Xbox One, and PS4 this weekend. The demo kicks off on Friday, November 24 at 8am PT and ends on Monday, November 27 at 8am PT. Venom, Black Widow, and Winter Soldier will be available on December 5 for $8 each, or as part of the $30 Marvel vs. Capcom: Infinite 2017 Character Pass. Capcom previously released Black Panther, Sigma, and Monster Hunter back in October. Excited for Venom, Black Widow, and Winter Soldier? Or are there other Marvel characters you would’ve rather seen added to the game?